Hilo, Hawaii–Just when you thought that fraud and corruption in the legal system couldn’t get worse, brace yourself for this PaulSullaFraud.com shocker. 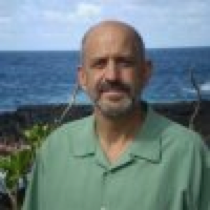 This PaulSullaFraud.com website, coupled with legal document filings published on PaulSullaCensured.com, introduces you to the Hilo, Hawaii, Attorney, Paul J. Sulla, Jr., who Dr. Leonard Horowitz opines is “probably the most corrupt lawyer in the history of the State’s judiciary.” Dr. Horowitz’s bias sources from being a pure-hearted humanitarian and world renowned author and filmmaker who has dedicated his life to exposing dark forces in the drug cartel and CIA, and then was defrauded, extorted, and coerced by Sulla’s crimes to go to court to gain relief from Sulla’s racketeering enterprise discovered largely by investigative journalist and Horowitz’s partner, Sherri Kane. 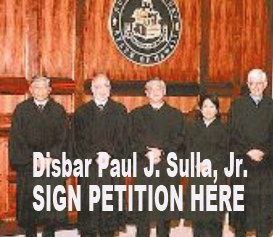 The two journalists then engaged Sulla’s enterprise that profits from foreclosure fraud, property thievery, and forgery, as directed by the Bar certified “reckless” “hallucinating” lawyer, Paul J. Sulla, Jr.
Consequently, this website, and PaulSullaCensured.com, plays a vital role in protecting the Big Island community against Mr. Sulla’s risks and damages that have been grossly neglected by the County of Hawaii, Office of the Prosecuting Attorney, and the State’s Office of Disciplinary Counsel, both having neglected dozens of Complaints issued by multiple reputable persons, along with more than a thousand pages of documents proving Sulla, Jr.’s pattern of committing multiple acts of fraud for organized crime, and racketeering activities involving illegal drug manufacturing fueling real estate conversions, citizen victimization, and tax evasion. 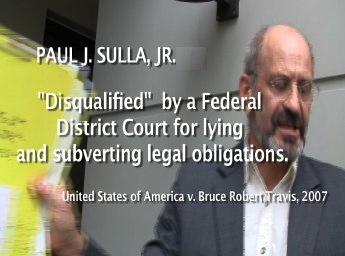 CLICK THE IMAGE BELOW TO VIEW THE OUTRAGEOUS FORECLOSURE FRAUD “SPECIAL REPORT” ON PAUL SULLA’S NON-JUDICIAL FORECLOSURE AUCTION, THAT STARTED DR. HOROWITZ AND SHERRI KANE ON THIS ROAD TO DISCOVERY; THAT SULLA HAS REPEATEDLY ATTEMPTED TO CENSOR UNDER COLOR OF LAW WITH HIS CIA-LINKED ALLIES AT GOOGLE/YOUTUBE. 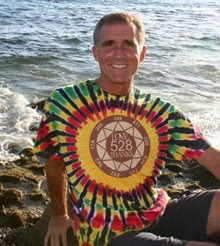 It all started for Dr. Leonard Horowitz in June of 2003, when a convicted felon and predicate forger, Mr. Cecil Loran Lee, who was jailed for growing and distributing marijuana on his property in Pahoa, Hawaii, suckered Dr. Horowitz into an agreement to purchase the “Steam Vent Inn & Health Retreat”–” a “one-of-a-kind property” featuring Hawaii’s only lava-heated steam saunas and geothermal warm pools. 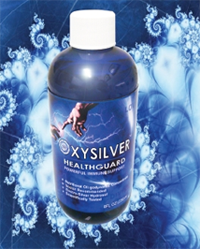 Horowitz, a celebrity author and minister of The Royal Bloodline of David, had been called “one of the world’s bravest men” by advocates of natural medicine and drug-industry whistleblowing. 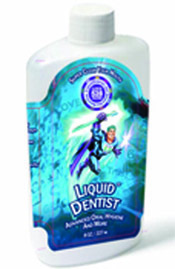 For a long time, Dr. Horowitz was the most popular controversial doctor on YouTube , before agents operating as a protection racketeers for Big Pharma and Big Banking persuaded Google/YouTube to censor his years of work honored by millions of viewers and readers. By 2007, Horowitz became the third victim/buyer of criminal Lee’s estate, seduced by Lee into an “unconscionable bargain,” while at the same time BigPharma began to wage war on Horowitz’s reputability and commercial properties. The $550,000 purchase and sale, and $200,000 non-refundable deposit, that Horowitz paid timely, included a “.89 acres” parcel of County of Hawaii land. That security and land grant was promised to allow neighboring land owners access to their properties. (See: Hilton Lee Kernodle) County Road Transfer Agreement.pdf) Otherwise, land-locked neighbors would be cut off from the main road that runs into the south side of Volcanoes National Park. Lee suckered Horowitz into granting early withdraw of $85,000.00 from escrow so Lee could pay a “high interest loan balance,” that Lee neglected to inform the doctor came as a result of a federal lien on the property. The Federal Government’s fine and lien on the land was for drug trafficking. Lee was heavily engaged in growing and selling marijuana which Mr. Sulla openly encourages. Lee maintained a “domestic partnership” with wealthy Pahoa landowner, Herbert M. Ritke, who served as Lee’s “counsel,” according to Lee, before Sulla entered as Lee’s licensed lawyer. 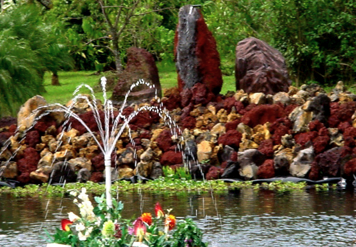 At a pre-closing meeting at the “inn,” on January 5, 2004, attended by Dr. Horowitz and his ex-wife, Ritke issued an extortion demand for an additional $150,000.00 for the fraudulently claimed title to the County of Hawaii property–a “.89 acre” parcel, that was not even Lee’s to sell. If Dr. Horowitz did not pay $150,000.00 more than the original $550,000.00 contracted, according to Ritke, Mr. Lee, and presumably Ritke too, would “squat” in an old trailer illegally parked on the “.89 acre” lot, and cut Dr. Horowitz and his ministry guests off from accessing the steam saunas and geothermal warm pools. Realizing that he, Horowitz, had been set up to lose his large escrow deposit, the doctor knew he needed a lawyer to develop an “Agreement for Closing Escrow” that would secure the sale and title to the “.89 acre” contested parcel, as well as protect him from foreclosure for anything except failure to pay Lee/Ritke the remaining $350,000.00 debt. 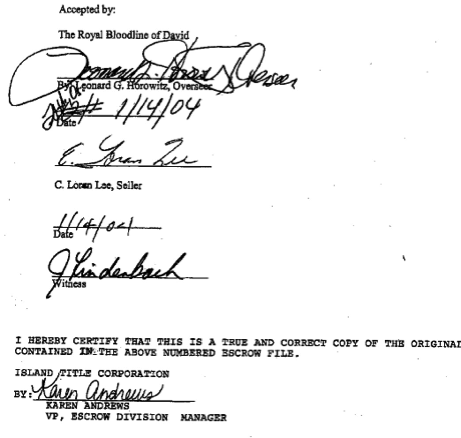 So, Dr. Horowitz worked with a local attorney–Glenn S. Hara (now sitting Judge Glenn Hara) of Hilo, Hawaii–to develop the “Agreement for Closing Escrow.” This document is shown below, co-signed by Lee, as witnessed by Dr. Horowitz’s ex-wife. This document was required by the Island Title Company (ITC) escrow officer to start the closing proceedings on January 15, 2004, and exclusively appears in ITC’s certified records. 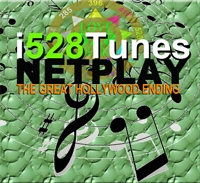 The “Agreement for Closing Escrow” prohibited, in paragraph 1, foreclose for anything but failure to pay timely on the Promissory Note. 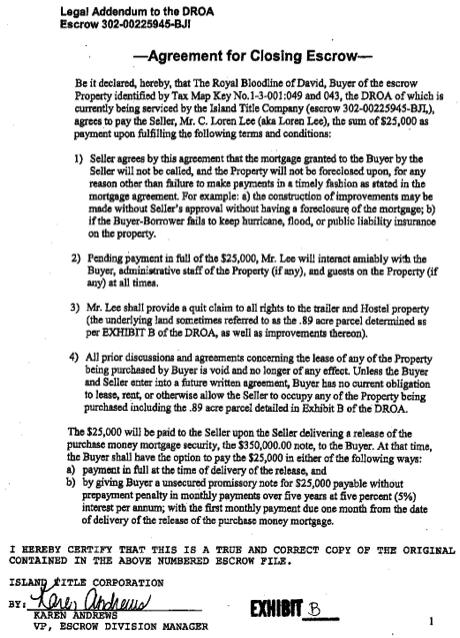 The Agreement for Closing Escrow, in paragraph 2, also required Lee and Ritke to treat the buyers, and their guests, “amiably,” and when the total money due to Lee was paid, and the mortgage release delivered, Dr. Horowitz would pay an additional $25,000.00 as part of the “goodwill” settlement. Within days of closing, however, the sellers violated the terms of their agreement in many ways: a) They illegally withheld money taken in advance from guests; b) they stole a renter’s rent; c) guests suddenly showed up demanding undisclosed refunds or accommodations at the “Inn;” d) promised farm equipment and livestock were sold by Lee without the buyers’ permissions; and e) the roadway sign and electrical system advertising the “Bed & Breakfast” was immediately vandalized. In addition, Lee contacted the insurance company to complain, then every County agency, to shut down the ministry’s operations. Those actions condemned the ministry’s guest visitations, marketing, and constructions needed for safety and upkeep. 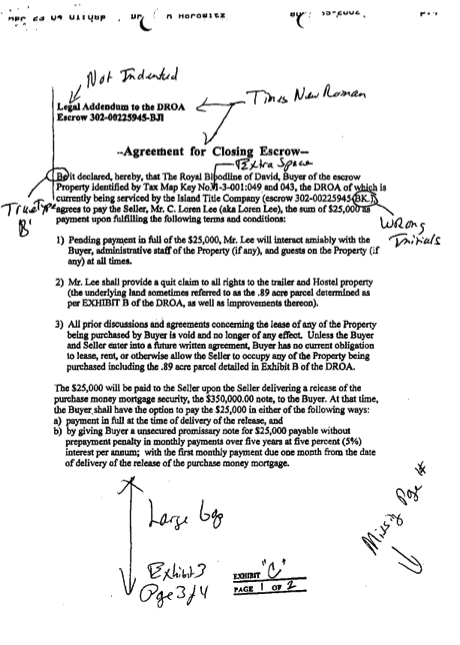 Then, in 2005, after several attempts at foreclosure failed, Lee used Ritke’s computer to forge a new “Agreement for Closing Escrow.” He removed the two paragraphs mentioned, and filed the forgery in a legal Complaint. He claimed Horowitz altered the Agreement, not him. It didn’t matter that the “Certified True Original” verified the version attorney Hara (now Judge Hara) had drafted. Lee, and his attorney, Dan O’Phelan, claimed Horowitz had somehow broken into the title company’s records, and replaced the true original with his forgery! Horowitz expected help for his cause from his former attorney, Judge Glenn Hara, but no help came. According to the doctor’s litigating attorney, John S. Carroll, Judge Hara refused to testify or even provide an affidavit. (Click to read Carrol’s: Carroll Hara Won’t Sign Anything mail.) That act, coupled with Carroll concealing the entire “Hara File” at trial, was criminal by two counts: a) evidence tampering, and b) witness tampering. Most outrageously, “The [concealed] Hara File” contained the chain of records and drafts proving the authenticity of Certified True Original Agreement for Closing Escrow (claimed by Lee to be a forgery); causing that most important document to be neglected during trial, effectively secreted by Carroll and Hara, suggesting, even evidencing, a criminal conspiracy. Below you can see the obvious differences between the Lee/Ritke forgery and Judge Hara’s drafted version containing the insurance and construction agreements (shown above). Because of Lee’s and Ritke’s actions, including the production of the above forgery, between 2004 and the trial in 2008, Horowitz’s ministry was not only required to pay the Mortgage without any income or donations, but had the extra legal expenses along with property upkeep expenses. All tolled, by 2012, $6 million in actual damages resulted. On February 25, 2009, the Court’s Amended_Final Judgment.pdf) awarded Horowitz and his ministry $200,000.00, and Lee’s foreclosure was denied due to fraud. But what Sulla did for Lee, and his own secreted special interests, damaging Horowitz severely, was neither loving, truthful or just. 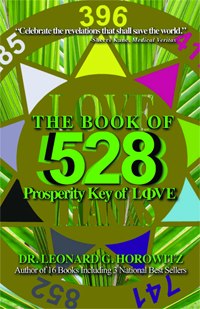 The first “loving” thing Sulla did for Lee was create the fraudulent “religious” “church” entity called the POPULAR ASSEMBLY OF REVITALIZE, A GOSPEL OF BELIEVERS, the purpose of which was to install an alleged “strawman”–Jason Hester– to evade probate court upon Lee’s death, evade taxes paid on the money Horowitz had paid, and most importantly, to evade Lee’s judgment creditors (Horowitz and Maise) and turn Horowitz’s $200,00.00 jury award into $375,000.00 of “unlawful debt” using a number of illegal fraudulent filings. The new fake “ecclesiastical” corporation was reported to the Court to be vested in Hester, a supposed (fraudulent) “nephew” of Lee. In fact, Hester was not Lee’s nephew. I learned this by speaking with Lee’s kin in Arizona, who could not recall how Hester fit in with the family, if at all; and I suspect they were instructed by Lee to back up his false claims. I spoke with Lee’s sister, Bertha Craig, who could not recall Jason Hester’s family connection. Indeed, Lee’s family tree: LEE’s Geneology with No HESTER proves that none of Lee’s sisters married a Hester. This evidence proved that Sulla lied about Hester being Lee’s “nephew” and rightful heir. According to legal definitions of “nephew,” used in probate court cases, Lee’s sister or son should have inherited his remaining estate as Lee’s exclusive legitimate beneficiaries, not Hester. Moreover, public records show Jason Hester falsely claimed to be: a) a Hawaii resident; b) living in Ritke’s house; living in a post-office box; c) living at a non-existent address; and/or d) living at Dr. Horowitz’s ministry. Sulla then certified three forgeries: an “Assignment of Mortgage” forgery, and two “Assignment of Promissory Note” forgeries. By filing these forgeries with the State, Sulla–the ayahuasca church leader, representing “truth” and “justice”–warranted thereby that Horowitz had never paid a dime of his original debt to Lee; and that Judge Ibarra never ruled to deny foreclosure for the full payments made. This $375,000 “false debt” is legally called “unlawful debt,” and Sulla, Jr. used this to bring an illegal non-judicial foreclosure (NJF). On April 20, 2010, Sulla and Hester used this fake debt to justify their NJF, even though the Ibarra Court had denied foreclosure in its thee final judgments. All in all, Sulla’s fraudulent filings of the unlawful deeds with the Bureau of Conveyances effectively robbed Dr. Horowitz, and his ministry, of title to the property. 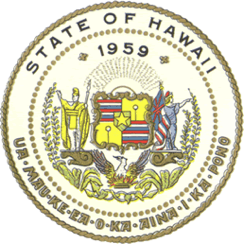 Tax records today reflects this theft of property title–a theft that Hawaii County law enforcers have yet to prosecute. It is most reasonable to conclude that Sulla and Hester had to have been criminally motivated to steal the property by NJF in contempt of court. But Sulla and Hester claim this is not so. They claim to be “entitled” to violate multiple laws. 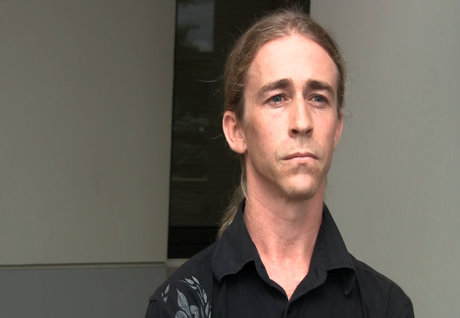 Following a criminal complaint filed against Jason Hester with the Hilo Police Department, and following Dr. Horowitz’s personal meeting with the prosecutor on Oct. 21, 2010, County officials still declined to act. This forced Dr. Horowitz to notice the County of Hawaii regarding a $3 million lawsuit he subsequently brought against all the parties responsible for damages accruing since 2003. In alleging fraud in a civil case, one needs to describe the “condition of mind” of the liar. I met up with Sulla and Hester outside Hilo’s District courtroom when they brought their failed Eviction Complaint (Click Eviction Complaint Filing June 21, 2011.pdf to read.) Hester assumed a yoga posture in the hallway, omed for a couple of minutes, and then verbally assailed me claiming that I was really a man! Hester owned nearly nothing, and so had nothing to lose. Lee and Sulla, using Ritke’s house address, made Hester “heir” to Lee’s estate instead of Lee’s domestic partner, Ritke, or Lee’s legitimate heirs. This way, Hester was positioned to be the “fall guy”–someone who Sulla could use as a “client” to advance a Nuremberg Defense, claiming he was just following his client’s calling if their crimes were prosecuted. [Editor’s note: Ritke’s complicity in the conspiracy is evidenced by these material records: Extortion Mail Fraud by Sulla Two Mailings and Ritke.pdf; Incorporation Articles Cover Page May 28 2009 Tax Office Records of Fraud Ritke, Hester, Sulla; and Ritke No Church Ever Existed at 811 Malama St]. In March thru May, 2009, Sulla filed a series of motions, including an important one totally neglected by Horowitz’s aging attorney, John S. Carroll. This, along with Carroll’s lamely-worded Counterclaim, sent the five year litigation to the Court of Appeals in Honolulu where it remained for four more years. Carroll objected to Judge Ibarra’s “lacking discretion” when the judge, following Lee’s and Sulla’s motions, outrageously vacated the $200,000 jury award due Horowitz and The Royal Bloodline that fueled the co-conspirators’ demands for unlawful debt payments. Carroll too, like Horowitz and the Court’s Final Judgments, informed Sulla that the money owed had been paid, but Lee and Sulla refused to credit Horowitz for the payments. The law and Carroll demanded a mortgage release from Sulla. But instead of issuing the release of mortgage, Sulla illegally advanced the sham “church” and the non-judicial foreclosure that you can watch by CLICKING HERE. This video caused Sulla to complain to Google, and the company quickly blocked it. Dr. Horowitz reported Sulla’s “religious” activity, and the financial fraud conducted to steal his property, but the Office of Disciplinary Counsel (ODC) refused to investigate, ignoring their previous condemnation of Sulla, Jr. for–tax court violations, and recklessly multiplying court proceedings in Takaba v. Commissioner of Internal Revenue. “It is an embarrassment to the Supreme Court of Hawaii that the ODC refuses to investigate, and sanction for a second time, Mr. Sulla, who is engaged in dimethyltryptamine, DMT, manufacturing and interstate drug trafficking according sworn affidavits by at least four parties familiar with Mr. Sulla’s criminal activities. (d) Prevents the making of a true entry or causes the omission thereof in the business records of an enterprise. (2)”‘Enterprise'” means any entity of one or more persons, corporate or otherwise, engaged in business, commercial, professional industrial, eleemosynary, or social activity. (3)”‘Business record'” means any writing or article kept or maintained by an enterprise for the purpose of evidencing or reflecting its condition or activity. (4)Falsifying business records is a misdemeanor. Sulla certainly violated §708-872 (1)(c) and (4) by naming Hester as the exclusive agent, or “Overseer,” of the corporation, conducting business exclusively from Ritke’s residential address. Paul J. Sulla, Jr., has been reported by reputable sources to be an official, some have claimed a “minister,” in an “ayahuasca church” north of Hilo, HI. In the case of U.S. vs. Arthur Ong, attorney Sulla was named in the government’s Superseding Indictment (Click US v. Ong, Hardy, Sulla Conpiracy Ruling March 6, 2012, Hardy, Sulla Conspiracy Ruling March 6, 2012.pdf to read) for having created a “religious trust” used to evade taxes and launder money. 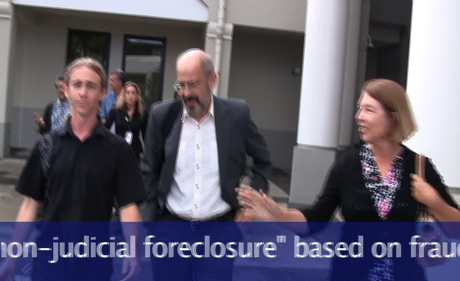 Click image to view foreclosure fraud video now. According to the federal indictment, the Government “was required to prove that Defendant conspired with at least one other person,” and Mr. Sulla was named that person for having created Ong’s fraudulent filings, just as he did for Lee, Hester, and others. According to law enforcers, three-out-of-the-four co-conspirators went to prison. For some “strange” reason, Sulla walked. 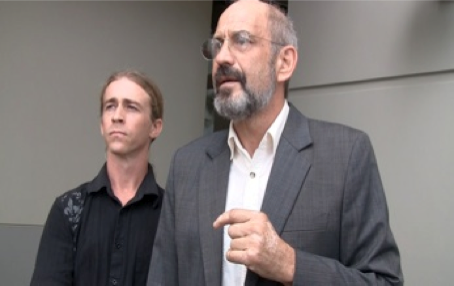 Dr. Horowitz requests your prayers and donations to continue advancing his legal defense, and plans for the property, including the delayed development of the ministry’s International Institute for Native and Natural Healing on behalf of world health and the underserved native Hawaiian community. Sherri Kane is an investigative journalist previously writing for FOX News in Los Angeles. She has authored a number of hard-hitting reports exposing many of the most powerful people controlling the mainstream media and BigPharma. Her website is SherriKane.com.